Banana plugs or spades for speaker cables? So I’m gonna come straight out the gate by saying that I’ve never done any listening tests on this one, and I probably never will. Why? Because I’ve used both for so many years and never noticed the slightest difference. So my discussions herein are based upon theory rather than empirical discoveries. And, to further cloud the discussion, manufacturers of both power amplifiers and speakers that are some of the best I’ve ever heard seem to differ on this subject, although most offer both options. Magnepan would be the most notable exception, offering only banana plug connections for their planar speakers (in a nutshell, the big maggies (3.7Rs) are a fantastic speaker, but wouldn’t be right for my room.) The folks at Zu Audio (The quest for some bang for the buck in interconnects and speaker cables) favor spade connections whenever possible, and I agree with them in theory. This goes back to physics 101 in regard to contact resistance and it’s relation to the surface area as well as the pressure imparted upon the mechanical junction. If you look at the photo of a banana plug termination you will notice that it likely offers less surface area than that of one made with a spade. But more importantly, the pressure of the junction is limited to the amount of outward force created by the spring effect of the bent metal, whereas with spades one can impart far more pressure on the junction, which can offer higher conductance. Also, many banana plugs are user-installed with some sort of a screw on system that is highly prone to error, meaning you could have 12 AWG wire with a weak link of just a few strands at the banana plug. By contrast most spade terminations, even when user installed, are soldered. In either case, the most important thing is full contact for the termination method used which is ideally made by cold forging, a method which pretty much rules out user installation. Second best would be a high quality solder connection (just like inside the amplifiers themselves), and a distant third would be user-installed mechanical connection, such as spades with screws on them or banana plugs with screw down connections on the wire. In fact, if it would be far better not to terminate your wire at all and properly connect the bare wire than to add an inferior user-installed banana or spade termination. Some purists go so far as to eliminate the mechanical interface altogether by soldering their speaker wires directly to the amplifier outputs, but this is definitely on the extreme side and inconvenient to say the least. I say any of the above methods can offer comparable sound quality, as long as care is taken to maximize contact area and pressure and all mechanical contacts are kept clean of course. So “back in the day” (i.e. the 1970s –The “golden age”) we hooked up speakers with ordinary “line cord” or “lamp cord”. And we’re not talking about ordinary speakers, amplifiers, or source components… we’re talking about some of the best the world has ever known (that’s why it was the golden age). We used high quality, heavy gage, braided copper wire and kept the runs as short as possible and made sure that both speaker wires were the same length, and the buck stopped there. Yes, all the laws of physics still applied back then, and we followed them religiously. Overall resistance is the key factor for “transparency” in speaker cables, and that is an extraordinarily simple task to address. Claims of superior sound quality from exotic materials and wire configurations are just that… claims. 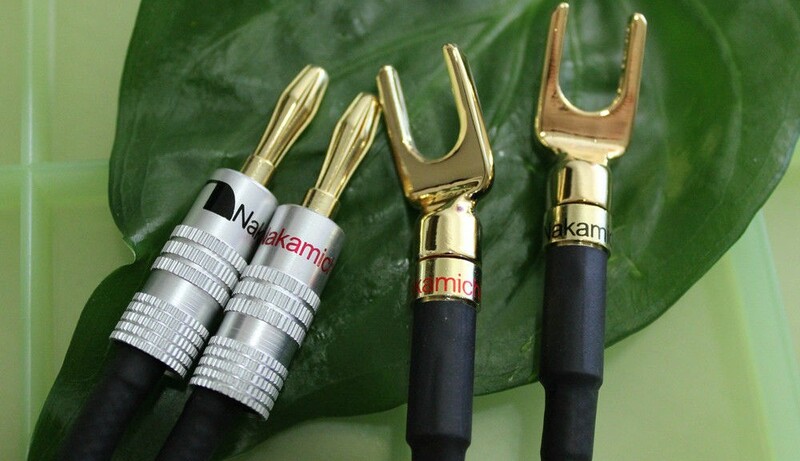 In fact, a listener is far more likely to adversely affect their sound quality due to inferior or improper speaker cable terminations and/or connections than the speaker cables themselves (see Banana plugs or spades for speaker cables?). To that end, raw wire was always the preferred connection method, one less link in the signal path chain. 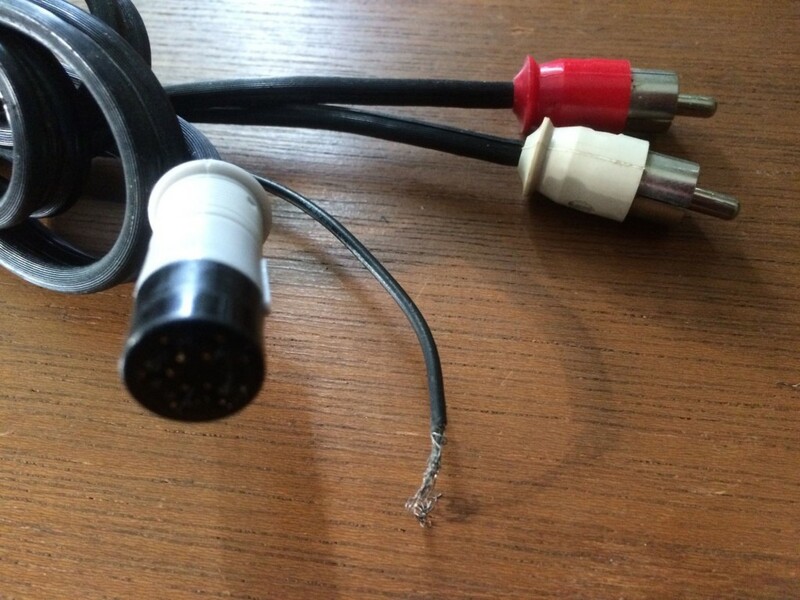 Enter the 1980s, the digital era, and the era of highly expensive speaker cables which has survived to this day. Listeners knew something was lacking from their music and a plethora of exotic “high end” speaker cables and interconnects ensued. Of course what was missing was all that analog goodness lost forever on the PCM 16 bit sampling floor (The “Dark Ages” of High End Audio), but it’s simply easier to look to the wire than to replace an entire music collection and go back to vinyl. And remember, high definition digital wasn’t available for many years to come. So now that I’ve got two very different reference quality systems, I decided to go back to the speaker wire question. Both reference systems have exemplary front ends, but my Canada reference system has a tube pre-amp (Vintage preamp shoot-out, tubes vs. solid state) driving a high current power amp (The Nakamichi PA-7 power amplifier) into planar loudspeakers (In a nutshell, the big Maggies (3.7Rs) are a fantastic speaker, but are very dependent upon room acoustics) whereas my Maui system has a Nelson Pass solid state preamp (The Nakamichi CA-5A preamplifier) driving a high slew rate power amp (The Audionics of Oregon CC-2. More distortion, more better.) into box speakers (The Venerable Kef 104/2). These are very, very different systems, I love them both for different reasons, and they would reveal any improvements, no matter how subtle they may be, in speaker cables in very different ways. So speaker cables were the last thing I upgraded in my signal path, having used 12 AWG hardware store copper wire up to that point. I kept the lengths long (but the same left to right) so I could dial in my speaker placement and once I got that nailed down, I pulled the trigger on high-end cables that offered good value and made no false claims. I bought the same ones for both Canada and Maui systems, and even the same length, as it turns out. 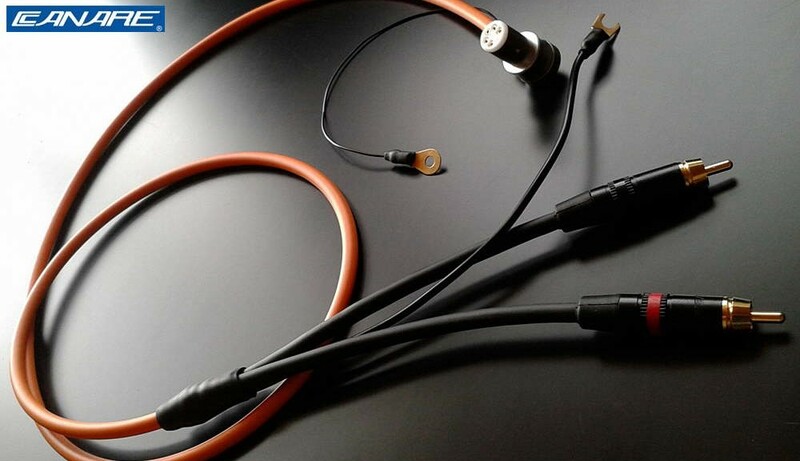 They are Zu Audio’s Libtec Cables and are made of oxygen free copper, have cold forged terminations, and are of gorgeous build quality. They sound great! Better than my hardware store copper wire?… I honestly can’t tell. They don’t sound any worse 🙂 I can hear the difference a bad (i.e. highly resistive) cable or interconnect makes in an instant, but hearing the difference between these and the best quality my local hardware store has to offer… not so much. I tried to postpone any critical listening until after the break-in period suggested by the manufacturer (200 to 300 hours), but even then I’d be hard pressed to hear the difference without double-blind A/B listening tests. Would love to do that sometime, but that’s a very elaborate set-up to do properly for speaker cables. Then there’s the subject of capacitance. 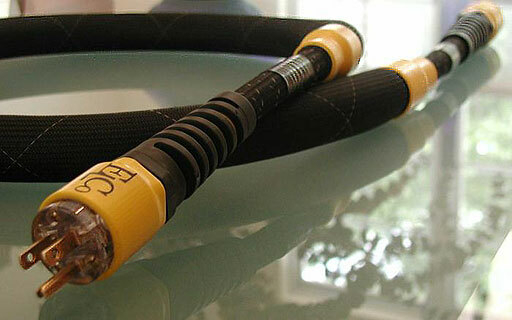 While this factors in far less than resistance in the speaker cable arena, it can make a significant difference. Capacitance is an unwanted presence in the accurate transmission of audio signals. Think of it like a small battery in the form of your wire storing an electrical charge. 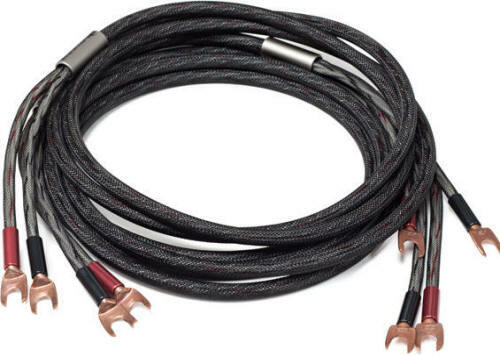 Ironically, many expensive high end speaker cables have relatively high capacitance, which alters the sound accuracy. Why?… because the elaborate wire cross sections and mix of materials create it. Nothing will have lower capacitance per foot than plain copper wire, and only pure silver will have higher conductance (i.e. lower resistance – but it would be a waste of money to use silver for it’s slightly lower resistance when you can just jump up to the next size of copper wire for far less cost). So how can these high end cables be selling if they have higher capacitance than regular copper wire? 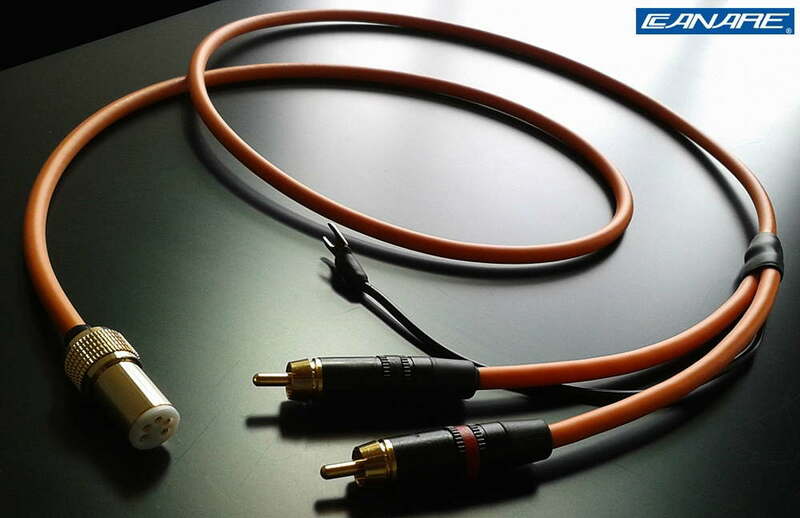 The fact is that higher capacitance wire is typically heard as “brighter”, which can be interpreted as an improvement in sound quality rather than the departure from signal accuracy that it actually is. This can be especially true if there is an expectation, due to marketing hype (see Trust your ears…) or even just the impressive esthetics of the wire itself, for better sound quality. This can also be true if there are deficiencies elsewhere in the signal path that the extra capacitance is compensating for, sort of like a fixed curve equalizer. So what I’m left with is a couple pair of speaker cables that are made of the purest oxygen-free copper and are hand crafted in the USA to the exact length I require and are terminated perfectly for my amplifier and speaker combinations. I know they are unlikely to degrade over time and they look great on my floor, they really do. Having the proper terminations for my amplifiers and speakers makes connections a lot simpler than they would be with bare wire and I know the manufacturer of these cables has done a far better job at making these terminations than I ever could (of course I could never cold forge them myself). I’m happy with my purchase, first and foremost to see if I noticed an immediate sonic improvement (I didn’t) but mainly because I didn’t overpay for what I got and I know these cables will last a lifetime. 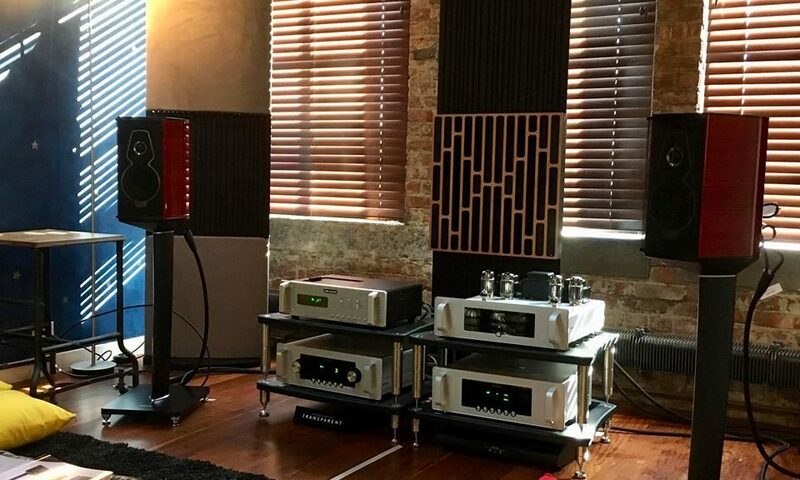 And… lest you think I’m overly critical of the cable industry, have a look at this link, written by a former Director of Acoustic Research and Head of Loudspeaker Design at McIntosh, one of the most respected companies in the business. 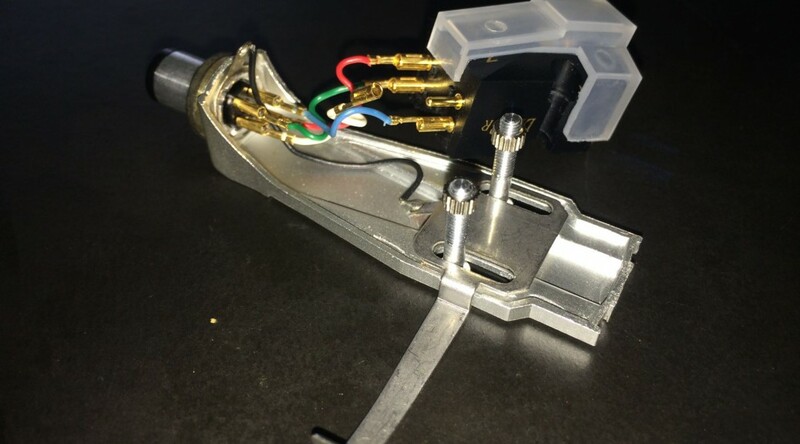 Time for new tonearm cable? So anyone who’s read a bit in this blog knows that I prioritize and match when it comes to optimizing my signal path, whether it’s analog or digital. The first priority for me is the quality of the music (i.e. recordings) then shortly after that the quality at the opposite ends of the signal path which is the transducers, meaning the phono cartridge for analog (The formidable Denon 103 vs. 103R low output moving coil phono cartridges – is there really a difference?…) and the speakers (It’s all about reducing mass for the transducers), which are of course dependent upon room acoustics (Why do speakers need to be matched to room acoustics?…). Following that comes the amplification of the signal path, and finally the interconnects used between the various stages to accomplish this. When I purchased my vintage Denon direct drive turntable (Denon DP-790W turntable review) the tonearm cable was an obvious candidate for replacement. Not only was it 40 years old but even when new it was of average quality at best by today’s standards. In my discussion of interconnects (a couple good examples of fact vs. fiction in the high end audio world) you will note that I’ve found great sound quality from quality interconnects selling for under $50. And, I’m hard pressed to hear an improvement when spending more than that, even when listening to my reference recordings (What is a “reference recording”?). 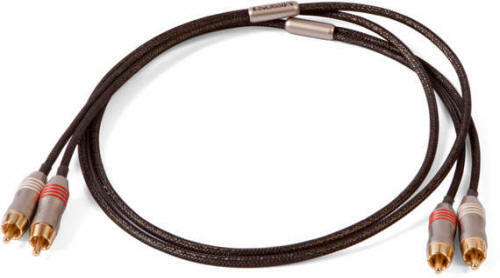 But… one look at this original Denon tonearm cable will tell you it was sub-par, even by those standards. And thus began the quest to find a suitable replacement. Unfortunately, being firmly planted in the realm of modern high end audio due to the fact that I’m seeking an esoteric tonearm cable, I was lost in a quagmire of highly overpriced options (ranging from around $500 and up to $2k) claiming to, once again, defy the laws of physics and perform some sort of voodoo magic on any music played (Speaker Cables and The quest for some bang for the buck in interconnects and speaker cables). 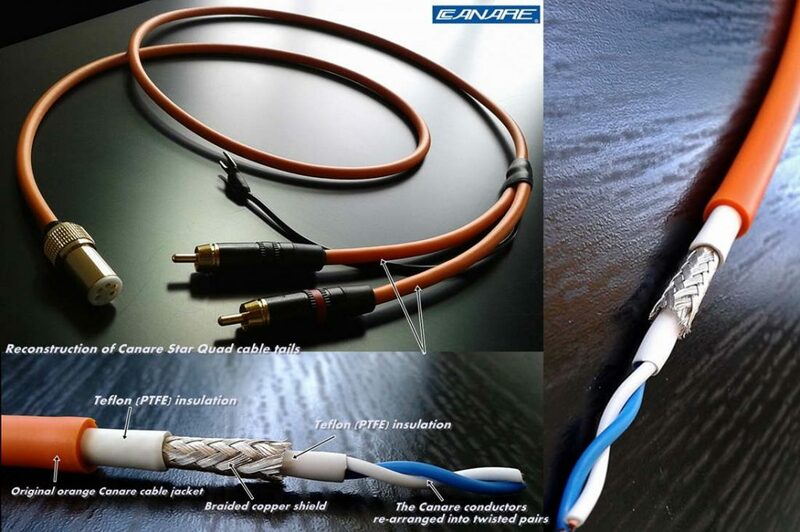 Enter the DIY cable market. Yes, I could buy the materials and make the cables myself, but I figured there must be someone out there who is way better at it and doing just that for resale, and thus the eBay search began. Of course, this search was exasperated by the fact that my tonearm used a five pin DIN connection, circa 1970s. The first “homemade” set I purchased for around $60 used Belden cable and Cardas terminations (including the five pin DIN) so should have done the job nicely, but unfortunately they had untenable hum so back they went. I kept poking around on eBay to no avail until I started looking internationally and then… bingo, I found a couple options. 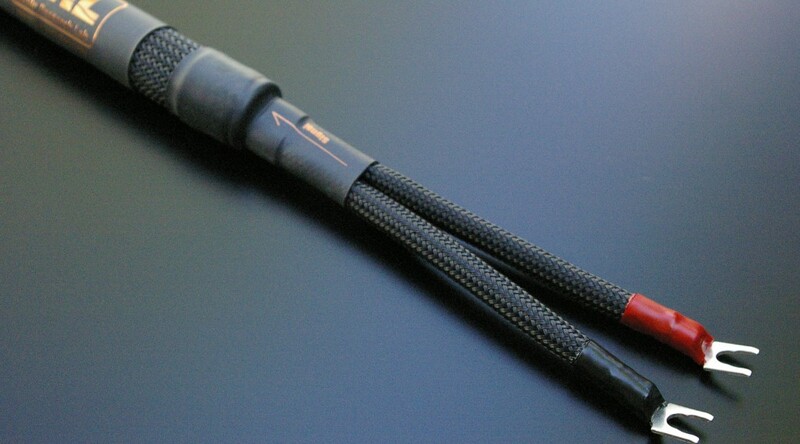 So I pulled the trigger on the Canare tonearm cable shown below and couldn’t be happier. Zero hum and noticeable sonic improvement immediately, even prior to burn in. 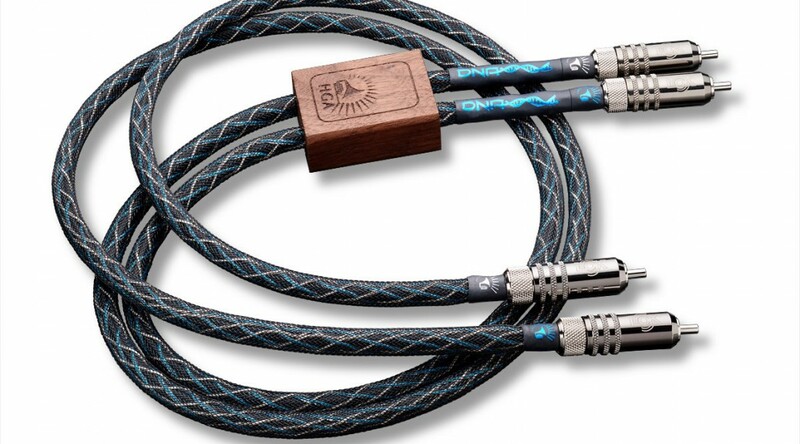 These are simply gorgeous handmade cables that sound every bit as good as they look. You can see and feel the quality of the craftsmanship, and the attention to detail is suitably reflected in their sound quality. 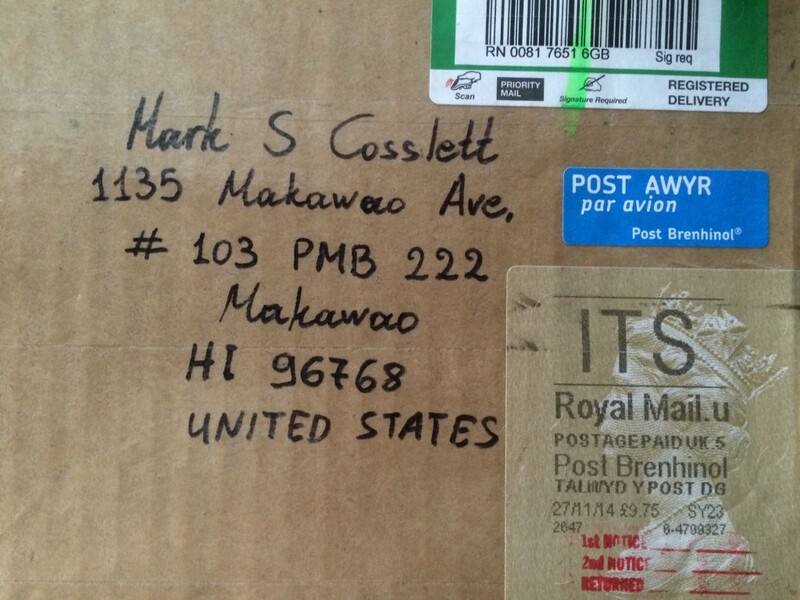 Even when the package showed up, all the way from the UK, I could tell this guy was a meticulous craftsman by the packaging and hand written labelling. Oh yeah, and the price?… Great value at $85 plus $6 priority shipping from England. And when I finally upgraded my turntable in Canada to a Denon direct drive, I purchased another one (custom length this time) to replace it’s original tonearm cable as well. I just got the Zu Audio Wyle interconnects. I just got the Zu Audio Wyle interconnects, so I couldn’t wait to hook them up and listen. I’ve spent enough time listening to vinyl on my system and the system is now good enough (playing vinyl anyway) to start to hear the differences the tweaks will make. New 180g Fleetwood Mac Tusk was already on the turntable so I dropped the needle on it after hooking up the Zu Audio interconnects. First impression was that there was an appreciable improvement, but that isn’t one of my reference albums so I went straight to some of my reference vinyl to check. Steely Dan Aja… No, not there. MFSL of the Kinks, Misfits… Still nothing I could notice (and I wanted to..). Then I grabbed NIN, which isn’t a long time reference for me but all the NIN vinyl is off the charts good sound quality so it immediately became one. Yep, similar improvements to the mid and high definition and even tighter bass. So… Just to make sure, one of my all-time references went on – Pink Floyd, DSOTM, which I just listened to recently. Yep, subtle but same improvements as previously noted. More pronounced on the classic measure of the track with the alarm clocks going off. and, i’ll be running my CC-2s as mono blocks so needed longer interconnects anyway. Do RCA interconnects (I just got the Zu Audio Wyle interconnects. and The quest for some bang for the buck in interconnects and speaker cables) make a big difference in signal quality? Not really… unless you use uber-cheap ones running critical analog signal paths, like pre-amp to amp or SACD to pre-amp. Is it worth spending more than about $100 on them?… Probably not. If carefully chosen you will get the maximum quality you can at that price point and any additional $$$ spend will be wasted. Same applies to speaker cables. Physics is physics (Speaker Cables). 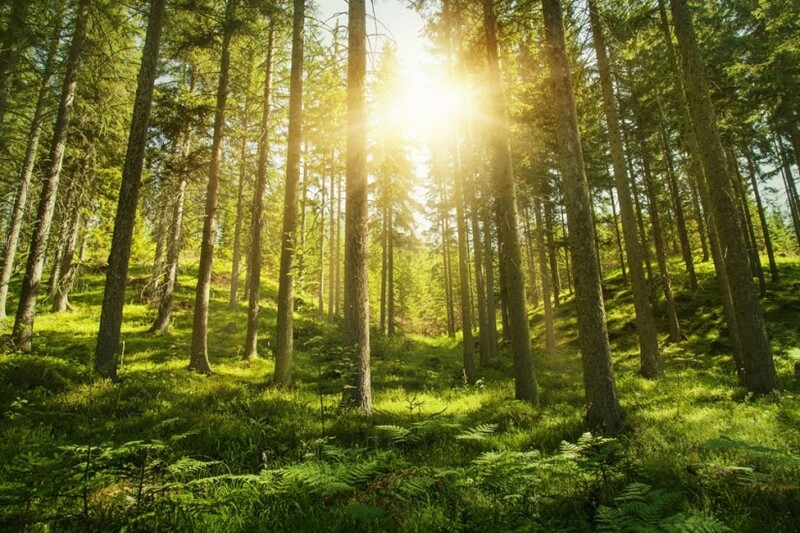 Does the quality of your source make a difference to sound quality? Absolutely. Do you get big improvements in sound quality with superior source recordings and carefully upgraded playback components? Positively. Along with your speakers, that’s where you get the most “bang for your buck”. The rest of the equipment has a very important but also very simple task – amplification, and amplification only (Why I prefer analog preamplifiers that lack tone controls and Doing a little research on vintage Sansui… and Circuit topology, why less is more). With the exception of digital audio reproduction of course, which adds Digital to Analog Converters (DACs) to the signal path. It really is pretty easy to steer clear of the B.S. and avoid wasting money on glittery “upgrades” that don’t improve sound quality and may on occasion even detract from it. There are two different types of audiophiles: those that love the music and those that love the gear. I am the former and as such I invested thousands of dollars collecting music before I spent a nickel on high end gear. 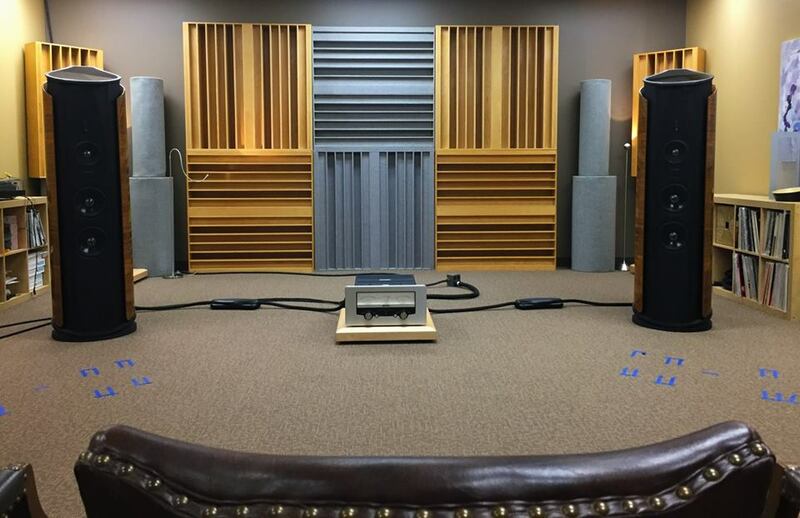 In order to bring out the best in those carefully chosen and cared for recordings I seek out the purest signal path possible to bring the “music to my ears”, which involves getting to know the gear as well.